Every year Google comes up with some pretty good pranks. So people were eager to see what the company came up with this year. Well, what they came up with ended up costing some people their jobs. Ouch! Google quickly pulled the plug and has now apologized for the whole episode. Google introduced Gmail Mic Drop as its April Fools’ prank for 2016. 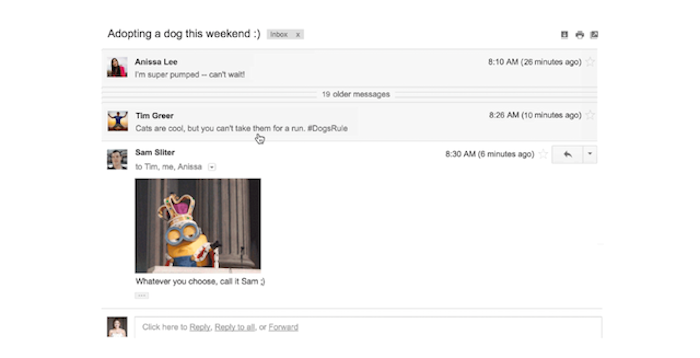 This allowed users to reply to any email with a new “Send + Mic Drop” button. When you click on the button, it added a mic drop GIF featuring a Minion and also muted the threat. This means that even if the recipients replied to the email the user wouldn’t be able to see new emails in that thread. You can imagine how this might go over with your boss for instance. Soon enough Google pulled the plug on the prank. Now Google has posted an apology. The company says that it’s working to bring back Mic-Dropped messages that had subsequent replies in users’ inbox so that they’re able to read the emails they might have missed out on as the threads were muted once the Mic Drop was used. Google admits that it should have asked users before turning on the feature and it should have included a confirmation before sending. It also acknowledges that it didn’t consider accidental clicks to the Send + Mic Drop button since it was placed too close to the regular Send buttons. I guess Google was the fool on this one. Poorly thought out for sure.